It was a battle of the bands between some of Chicago's finest on the city's Northwest Side Saturday night. CHICAGO (WLS) -- It was a battle of the bands between some of Chicago's finest on the city's Northwest Side Saturday night. 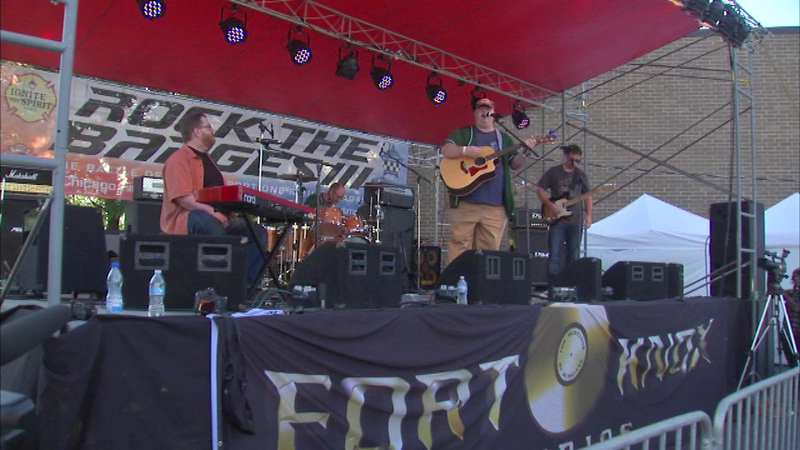 Bands made up from the Chicago police and fire departments rocked out to take top honors in Battle of the Badge. Proceeds raised will benefit organizations that help families of fallen police officers and firefighters.